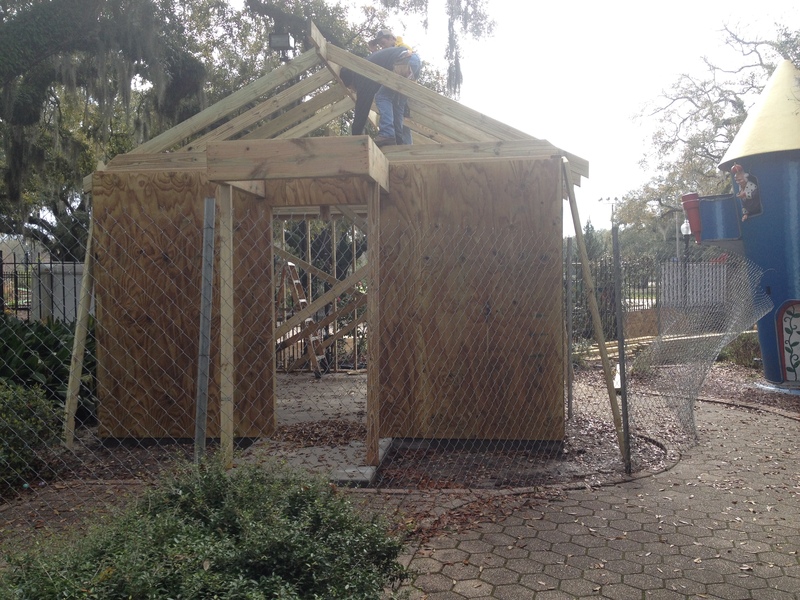 The construction on the new Little Red School House in City Park's Storyland has begun! We're so excited and we know you are, too! Sponsored by Entergy, this new Little Red School House replaces a smaller version seen below. 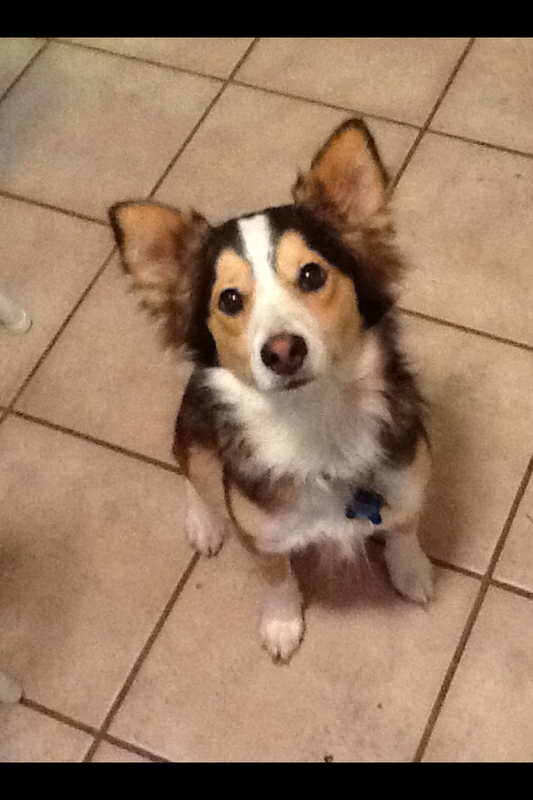 The little guy was found far from water in front of the Park's Administration Building at 1 Palm Drive. How he got there - we have no clue! 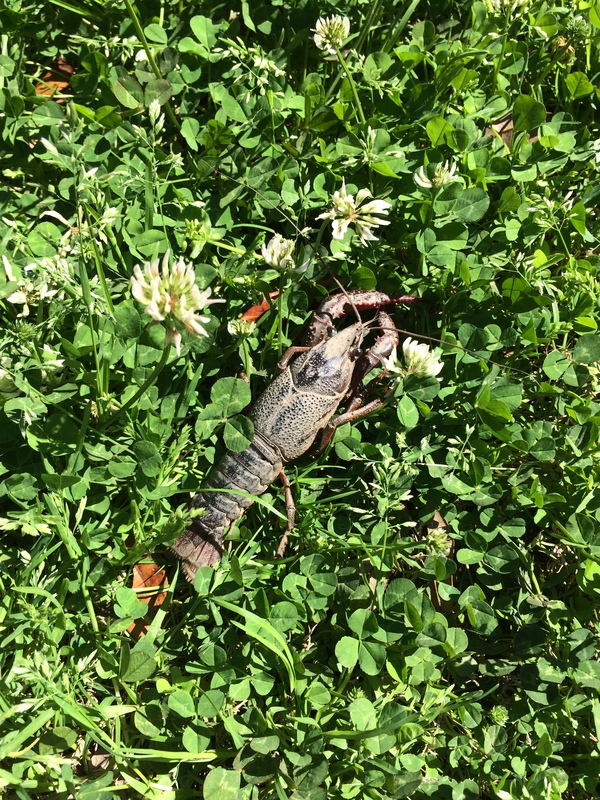 Saved by the Botanical Garden's Administrative Assistant and the Park's Media Manager, this crawfish will go on to live another day in his City Park home. They moved him into a large puddle of water under some oak trees where he flipped over repeatedly in the water and buried into the ground. Each year the Police stables in New Orleans City Park is graced with the presence of the Anheuser-Busch Clydesdales. They are large, beautiful and graceful animals. Check out this small video of one of the horses trotting for the happy crowd. Anheuser-Busch owns a total of about 250 Clydesdales, kept at various locations throughout the United States, are one of the largest herds of Clydesdale horses in the world.The horses travel in style in their own trailers. Three “hitches” or teams tour each region of the country, Midwest, East Coast and West Coast, for most of the year. The Police stables in New Orleans City Park currently house the East Coast Hitch. This is their 49th year participating in Mardi Gras. They bring 10 horses and 8 horses march in the Carnival parades. 2014 parades they will march in: Krewe d’Etat, Endymion, Bacchus, Argus During Carnival, if you are driving down Marconi near Harrison in the Park, you may see the horses exercising. Feel free to stop and watch - they are quite something! Sometimes their dog joins them in the play/exercise, too. If you take some good pictures please share them to our Facebook, Twitter, and Instagram. 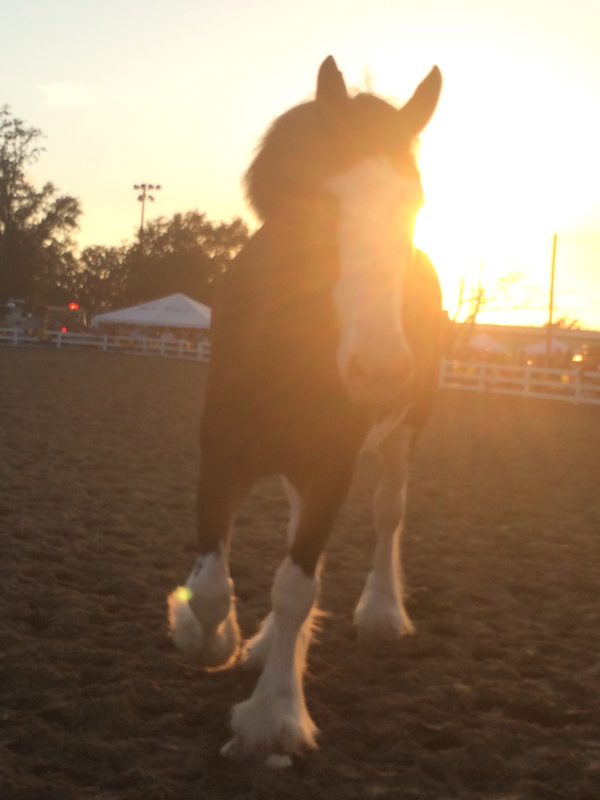 Fun Clydesdale facts here! The Clydesdale blog here! Our friends from Louisiana Department of Wildlife and Fisheries﻿ paid us a visit last week. 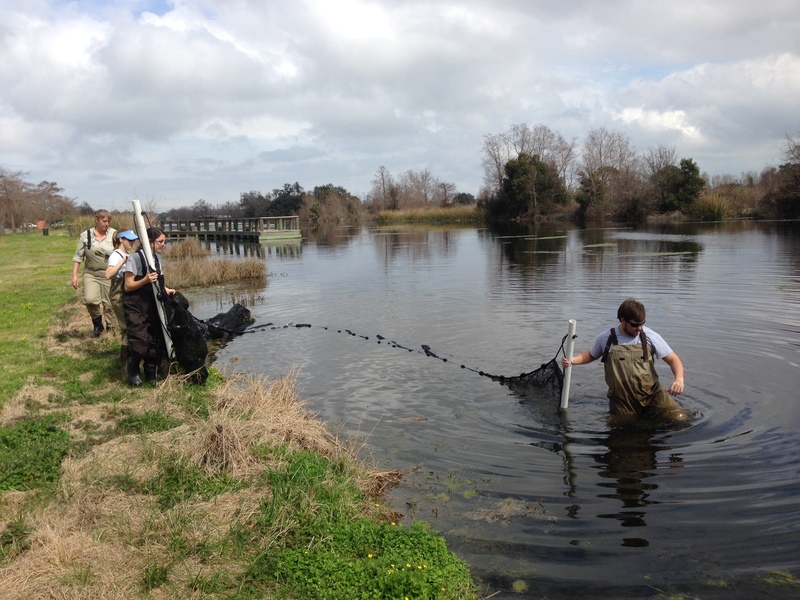 They come to the Park with their seine net a few times each year to check for small fish and other water critters in order to determine the degree to which our lagoons are thriving. Thanks Wildlife and Fisheries! This stone bridge leading to Goldfish Island is called the Goldfish Bridge. It's been a part of City Park since it was built in 1902. This bridge is the only way (by land) to visit the tiny Goldfish Island. From the bridge or the large cement bench on the island, one can view the Peristyle in all her splendor. It's also a great place to feed the ducks or fish in Bayou Metairie. Want to know how to get to this 'secret' place? It can can be reached by walking through the Old Grove near Anseman Avenue. The Old Grove is the strip of land between Bayou Metairie and City Park Avenue. Many of the Park's oldest trees live here. Learn more about the architecture in the Park on the Park's website: www.NewOrleansCityPark.com. Got a LOVE for art? Between the art around the Park, the Botanical Garden, NOMA, and the Besthoff Sculpture Garden - City Park's got you covered! 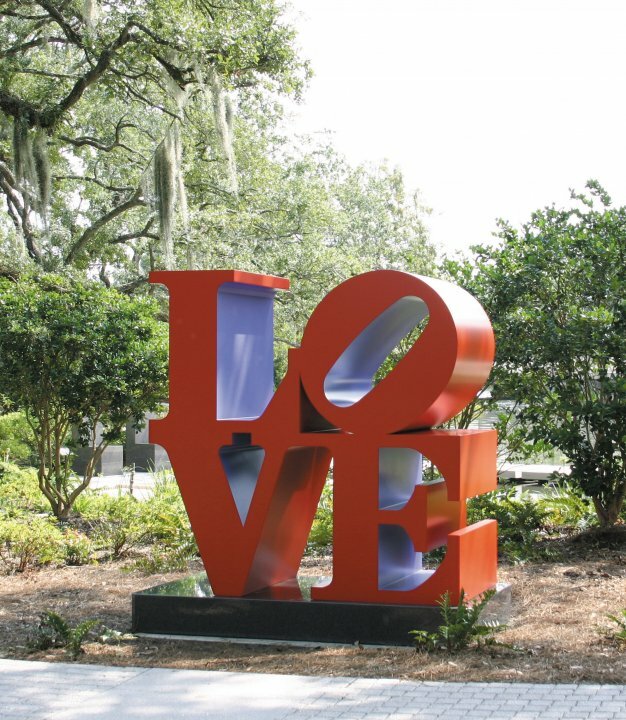 You can see this beauty by artist Robert Indiana in the Sculpture Garden. 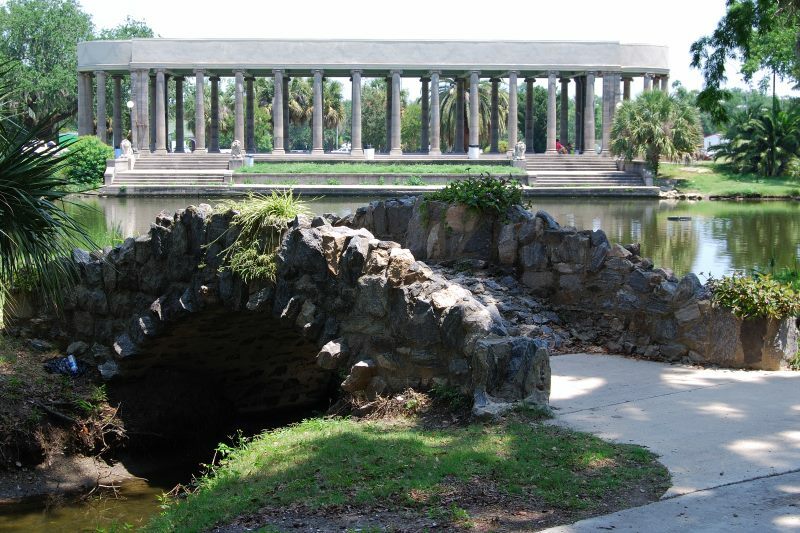 The Peristyle is over 100 years old and was specifically built for parties! Close your eyes, hear the music, and think of the fais do dos of past and present! Hello City Park friends! I’m Linzey and I’ll be your guest blogger for the day. I’ve worked at City Park for almost 6 years as the Grants Manager and if there’s one thing I’ve learned a lot about, it’s trees. 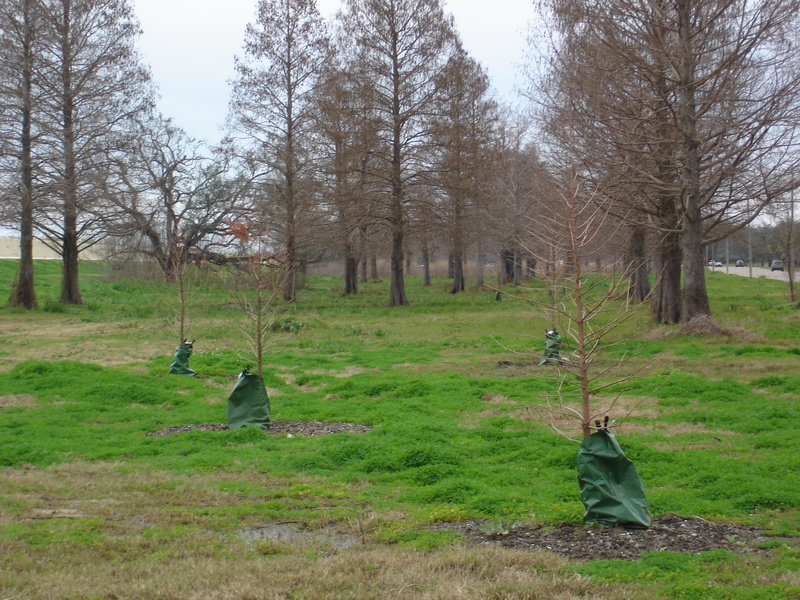 There are more than 20,000 trees at City Park and they range from the tiniest saplings planted last week to the immense live oaks standing tall for more than 800 years! 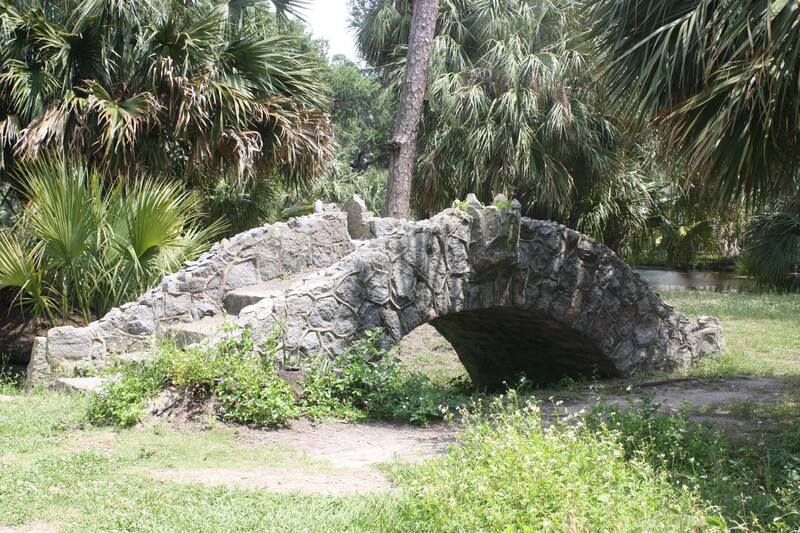 Built in 1902, this is the Pichot Stone Bridge. This rough-hewn cobblestone bridge was dedicated in the memory of Henrietta M. Leonie Pichot for her gift of $192.00 in 1901 to City Park. Looking for it in modern day City Park? Coming down Dreyfous, it's on your right before you cross Anseman Avenue. It leads to a tiny peninsula of land overlooking Bayou Metairie. There is water underneath this bridge only sometimes (depending on how high the bayou is at the time).